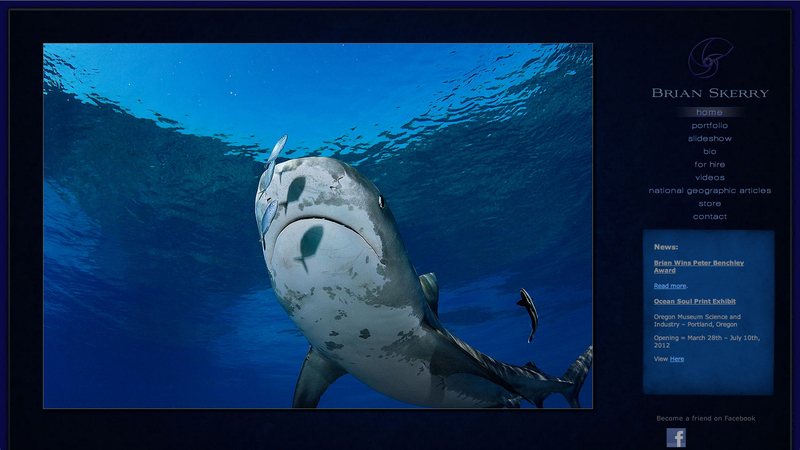 Brian Skerry is a world renowned underwater photographer working for international clients such as National Geographic, Smithsonian and Sports Illustrated. He has received many awards for his photography including BBC Wildlife Photographer of the Year. Gordon Multimedia has provided Skerry with a cutting edge portfolio website with striking design and under water feel. While many photographers’ websites are Flash-based (and therefore unusable on iOS devices) we built Skerry’s site on technologies that work across all of these platforms. This website is an extraordinary example of what a custom CMS-based website can look like. Our goal is to provide our clients with unique looking websites with content that is easy to manage. This website also features an online store with shopping cart where the client can buy his beautiful work. 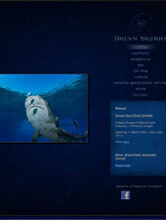 Today, the average brianskerry.com visitor views about 7 pages per visit! Visit this high-profile National Geographic photographer's website.